Do you have a favorite team, cause or organization? Are you exhausted from all the work that goes into prepping for you fundraising event….hate being that dreaded door to door salesperson? 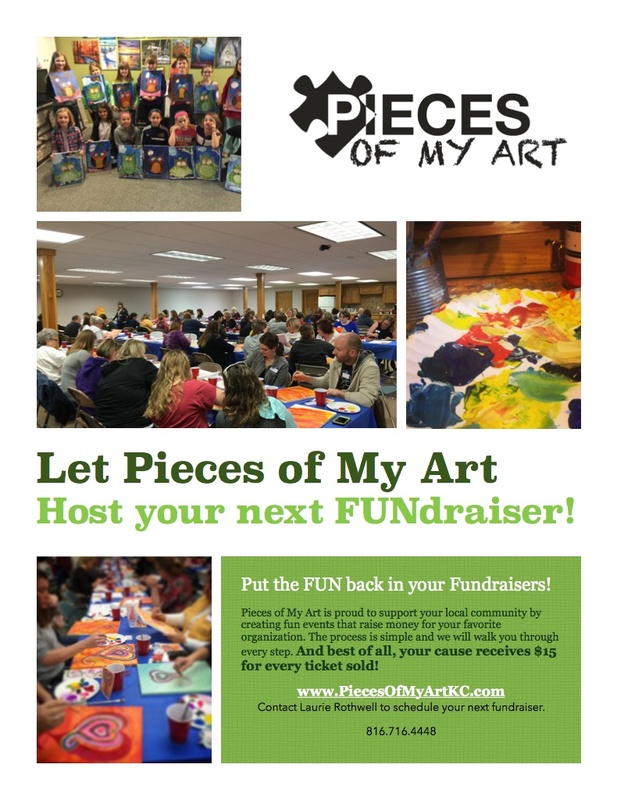 With a Pieces of My Art FUNdraiser….all you have to do is pick your venue, invite your guests and show up…with a bottle of wine or other beverage of you choice! I will provide all the supplies, set up, instruction and clean up…and you paint, laugh and sip on your beverage for a few hours. You then have a masterpiece of your very own to keep PLUS $15 per attendee to keep for your cause. Fees are $35 per person with a 20 person minimum. A $100 non-refundable deposit is required to schedule your date, which will be applied to the total cost of the class. You collect the money, then pay me $20 for each attendee.